Scratch that, it was a class conflict with the old weapons pack mod. It's fixed now, just had to delete some old class files. I have same issue. Please, could you detail the name of the class files did you delete? The F14 is non flyable during landings. It rolls then crashes at low speeds with wheels down. Having a similar problem on landings. AI flights ( F-14s ) , extra F-14s crash and explode on takeoff. No problem F-4s or other mods with extra flights. Using 4.12.2m . Retraction! When I use the normal in flight view to land, no problems. Tried several times, no problem. When I zoomed in ( F-1 view key ), landings with flip overs , broken gears etc. 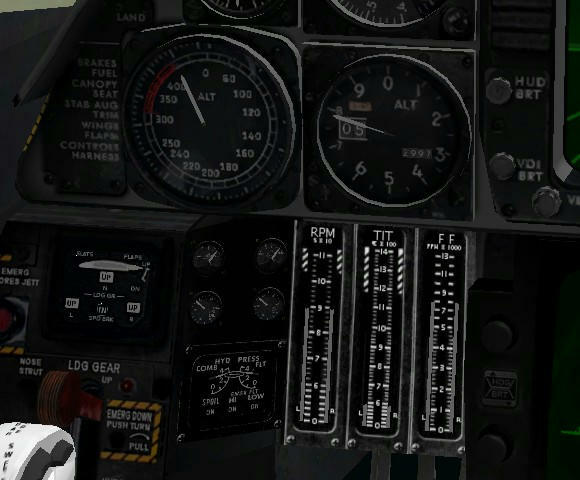 No problem with landings F-1 views with other aircraft mods. Watch your speed, descent and angle. Don't come in dropping like a stalling stone because you insist on being too slow. If I can do it, you can do it. Raising pilot view to up most position on approach is advisable. As for carrier take off damage - just deactivate realistic landings in difficulty settings for this type of mission. AI can take off and land, no problem. If they crash for you something's probably wrong with your install environment. Nope this mod not ready for prime time. Tried everything. Even at high speed the F14 bump turns. Landing impossible using every method including using trim. Wasted a whole day on this time to move on. (BAT Linebacker and all other planes work without issue). Let's give it a try! As I'm not that much familiar with moding, I might end up having to reinstall BAT but that's worth a try!! Thanks a lot to all involved, excellent work. I believe we can't really imagine hhow much work and effort go into such mods! F-14 with heavier loadouts breaks its nose gear in carrier catapult take-off problem ..... fixed by SAS Engine mod 2.8.12w , now. Version 1.10 full package is in 1st post. Not to overwrite on v 1.0 ~ 1.01 . And today's new Jet-Pit Common materials is required. The cockpit has new engine / hydro / flap / gear management panels.